Pleased (c. by Street Cry). 2 wins at 1300m, 1600m to 2017-18, BRC LUCRF Super Supports Jockeys H.
Joyeux (f. by Lonhro). 2 wins-1 at 2-at 1000m, 1100m, MRC Slickpix 2YO H., 2d MRC Powersource Global 2YO P., Mrctracknews on Twitter 2YO H., Race-Tech 2YO H., MVRC Essendon Mazda 55 Second Challenge 2YO H., 3d MRC Premier Signs 2YO P.
Bon Temps (g. by Flying Spur). 8 wins to 1400m, A$126,655, to 2017-18, 2d BRC Brc.com.au P., 3d ATC Bright Ideas Events H.
Faraja (g. by Medaglia d'Oro). 2 wins at 1200m, 1850m, 3d MRC Sportingbet William Hill H.
Well Being (g. by New Approach). 2 wins at 1850m, 2400m in Aust. Debra's Joy. 2 wins at 1100m, 1300m, MRC Wood Court Inn H., 2d MRC Perfect Bliss H., George Vowles 2YO H. Producer. Metaphorical (Dylan Thomas). 4 wins from 1400m to 2050m, A$332,145, MVRC Ranvet H., 2d VRC Schweppervescence Trophy, Gr.3, 3d MRC Angus Armanasco S., Gr.2, MVRC Sunline S., Gr.2. PRESENTING (Redoute's Choice). 5 wins-1 at 2-from 1200m to 2050m, A$142,850, SAJC Morphettville Guineas, L, MRC Black Onyx 2YO H., MVRC Oaklands Hunt Cup H., VRC KA Morrison H., SAJC Perks Property Investments H., 2d MRC Princess Talaria 2YO H., VRC St Kevin's College 2YO H. Producer. CASK (Fort Wood). 3 wins from 1450m to 1800m, R529,845, Kenilworth Premier Trophy, Gr.2, 2d Kenilworth Premier Trophy, Gr.2, Enjoy Cape Racing H., What a Winter P., International-Racing SA/WPOTA H., 3d Greyville Thukela H., L, Durbanville Kuda Personal & Commercial P., Kenilworth Enjoy Cape Racing S., Etana Insurance P., 4th Clairwood Cup Trial, Gr.3, Fairview Algoa Cup, Gr.3. BENTLEY BISCUIT (Peintre Celebre). Third on the 2006-07 Australasian 4YO+ Classification (sprint). 12 wins from 1100m to 1600m, A$1,446,725, BTC Cup, Gr.1, AJC TJ Smith S., Gr.1, All-Aged S., Gr.1, Shorts H., Gr.3, Avenium H., STC Winning Edge Presentations Welter H., Nick Robin Memorial H., Young Members Raceday H., De Bortoli Sacred Hill P., De Bortoli Wines H., IEU Your Rights at Work Cup H., 2d Newcastle JC Newmarket H., Gr.3, 3d AJC Doncaster H., Gr.1, 4th AJC Galaxy H., Gr.1, MRC Moonga S., Gr.3. LANDLOCKED (Zabeel). 10 wins from 1200m to 2000m, A$320,300, Murrumbidgee TC Wagga Wagga Gold Cup, L, AJC Beau Zam H., SCTC Summerveld Racing Stables H., STC Members H., Rosehill Gardens Event Centre H.
Light Up the Sky (Big Brown). 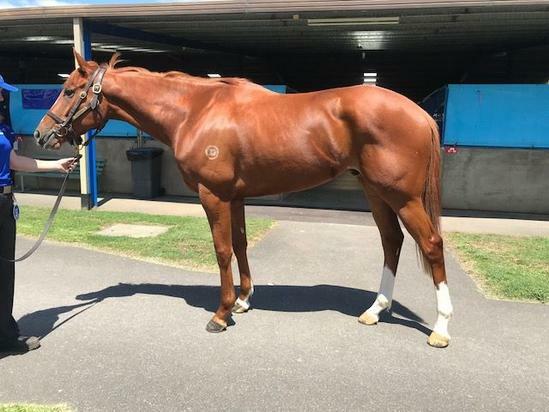 2 wins-1 at 2-at 1000m, 1400m, A$132,776, to 2016-17, WATC Westspeed 2YO P., Heineken H., 2d WATC Magic Millions Perth 2YO Classic, RL, Westspeed 2YO P.
SNITZEL SPIRIT (Snitzel). 6 wins from 1200m to 1800m, S$364,172, Singapore TC Causeway Classic S., L, Progressive S., Kranji C S., 2d Singapore TC World Airlines S., 3d Singapore TC More Magic 3YO Championship, L.